Glitter has many purposes; primarily it looks pretty and makes even the ugliest of items look 10x better. 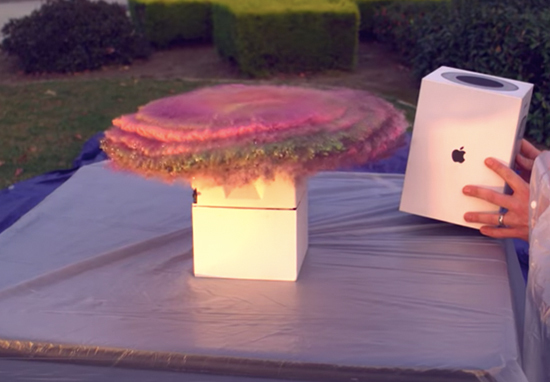 And now it appears it can also fight crime, as one man has made a perfect fake package which leaves porch thieves covered in glitter (and fart spray). Yep, you heard me right. The nifty little package, which looks completely normal on the outside, will explode as soon as it is opened by the thief. If you’ve ever had a package stolen from your porch, you’ll understand the reasoning behind the creation of this deterrent. 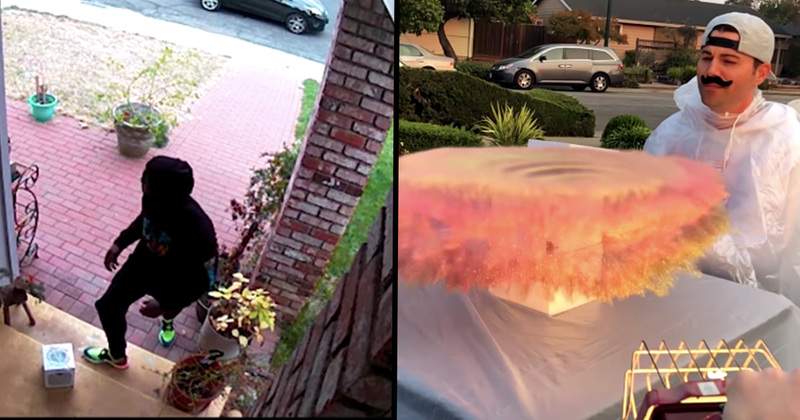 YouTube user Mark Rober experienced this when a security camera recorded two people stealing a package from his front porch, after the company had advised him it had been delivered. He posted a video to his page explaining his reasoning behind creating the fake package, saying he felt ‘violated’ and that the police wouldn’t do anything about it, hence he felt ‘powerless’. He talks the viewer through his creation, describing how he made it step-by-step and explaining that the process took him six months. First of all, he put a spring in the box which would release the glitter. Then, he had to figure out a way to record the thief’s reaction – which he did by using a very carefully aligned rig of four hidden cameras. The package also had a GPS tracker that let Mark know when the box has been moved, meaning he can track the thief’s movements. So what happens when the package gets opened, you might be wondering. Well, this is the fun part because as soon as the thief opens the box, a custom-built spinning tub flings endless amounts of glitter in every direction, covering them head to toe. Now, as much as I love glitter, I can’t imagine the thief will be very impressed at the surprising turn of events they’ve found themselves in. And it doesn’t stop there; a few seconds later, the thief gets covered in fart spray, which has been placed inside the fake package. The fart spray then keeps coming, forcing the thief to throw the package away and allowing Mark to track it down and collect the hilarious footage. And that he did! The now-viral video then cuts to a montage of different people opening the package after they have stolen it, with amazing results. What gets me is the fact that they have STOLEN these packages and yet still have the audacity to be annoyed by this minor (and very funny) inconvenience. Like, maybe just don’t steal in the future okay? Jheez. It also makes me want to keep track of all of my packages in the future, ’cause who knew there were so many thieves out there?